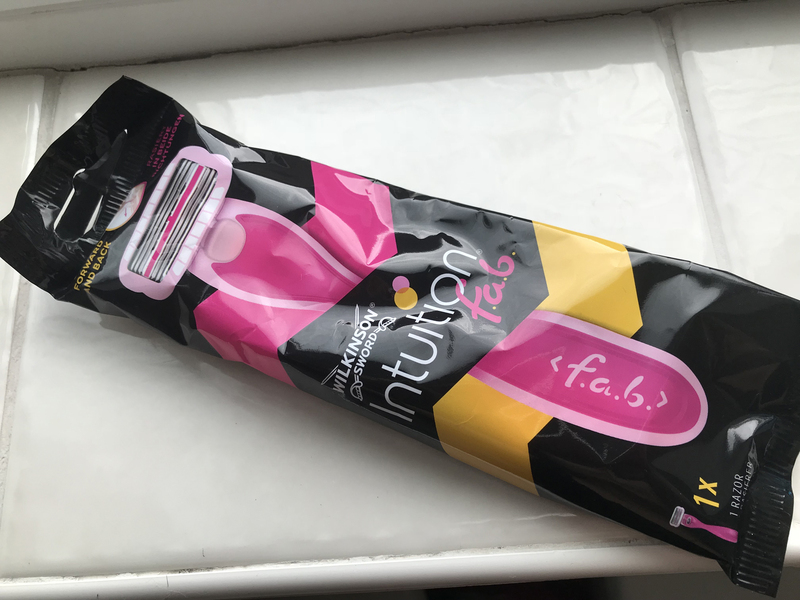 Stop whatever it is you’re doing and if you haven’t yet tried the Wilkinson Sword Intuition FAB razor, go out and get it now. 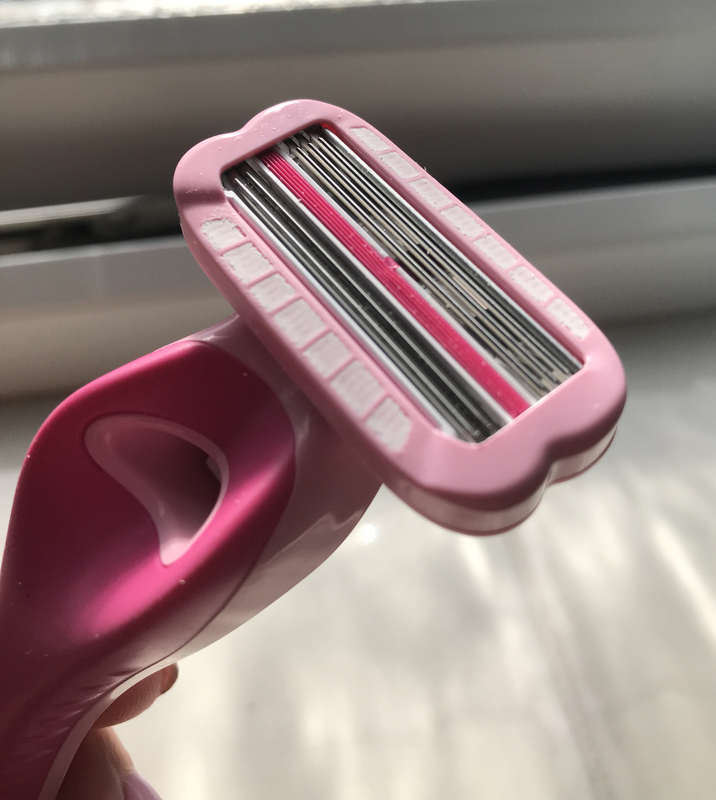 After years and years (probably decades) of seeking an alternative to the manly Mach 3, I may have finally found a girlie razor which actually manages to do the job it should. 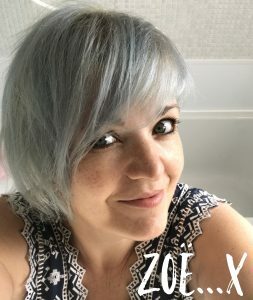 I’ve had my fingers burned – and my legs nicked – far too many times on the plastic, miserable female alternatives to the much more effective and generally more sturdy male offerings and had pretty much given up on ever finding something that actually does the job but looks nice. The Wilkinson Sword Intuition FAB razor has a revolutionary design featuring bi-directional blades which lets you shave forwards and backwards – the top blades shave up and the bottom blades down. It features water-activated gel which allows it to glide effortlessly across the skin and has a soft rubber handle with grooved grips. I have to confess, I didn’t really read the label before I used it for the first time, so hadn’t even realised about the whole backwards shave thing. First impressions were good, I liked the way the gel activated instantly, and the blades glided across the skin really well. It gave a nice, close shave which I liked and thanks to the gel there was no irritation and not a single nick anywhere, which made the experience really pleasant. After then actually looking at the blades and realising that two of them were backwards facing, I’d checked the literature and realised I’d not quite got it. So the second time I was straight onto the backwards thing and wow, this is actually something else. It’s particularly great on the underarms because you can glide backwards and forwards and get every annoying little bit. It’s also great on the legs. The annoying calf growth was quickly deleted and it makes the job so much quicker. And it’s perfect for the knees. I’ve always said that nothing does the knee like the Mach 3, but I do think my old favourite has met its match this time. It also leaves the skin feeling very soft and hydrated thanks to gel. The gel is brilliant and because you don’t need to waste time lathering up, it really cuts shaving time. Yes, I’m officially sold. Since the first use, I’ve felt no need to go anywhere near the Mach 3 because I’m really happy with the job this does. It leaves the skin feeling very smooth and soft, and I really love the water-activated gel because it works instantly and makes the forward and backward actions really easy. The razor really does glide effortlessly and there hasn’t been a single nick. Afterwards my skin feels hydrated, none of that nasty dry itchiness you get with the cheaper alternatives. It also shaves time off your routine because you don’t need extra shaving gel or cream, and this also makes it perfect for holidays or when you’re travelling light as you don’t need anything else. I also think it looks great. 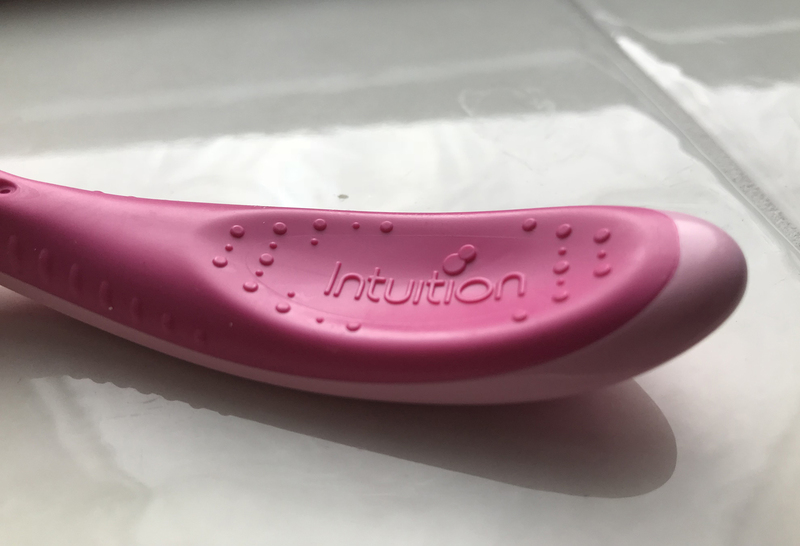 The rubber handle feels luxurious to use because it’s soft and sturdy, and it is certainly pretty enough to leave lying about in the bathroom without any shame. 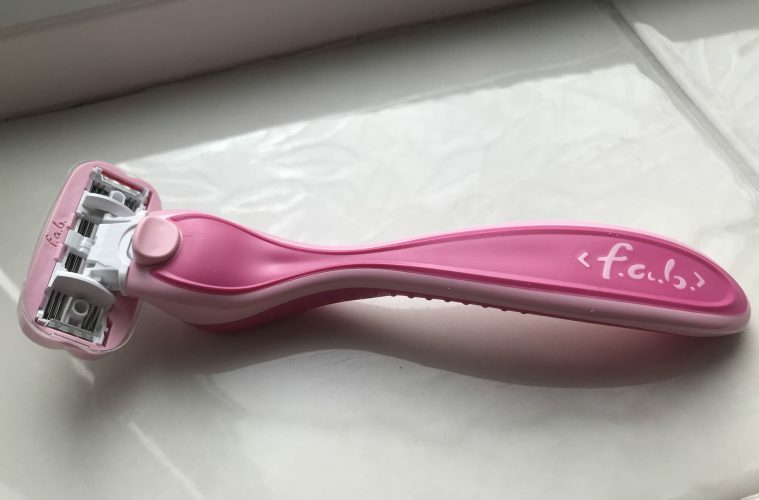 I’d seriously recommend the Wilkinson Sword Intuition FAB razor. It’s definitely something I fully intend to stick with and I’m really pleased I discovered it.